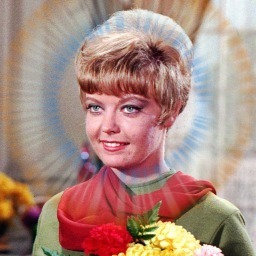 Applies a circular halo to an image. .......................... will be extracted. Any valid IM color is allowed. 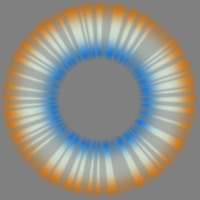 PURPOSE: To apply a circular halo to an image. DESCRIPTION: HALO applies a circular halo of given center, inner radius and width to outer radius. The user can also control the coloring of the halo, its striation contrast, its overall transparency and saturation and rotation of the halo striation pattern. -r radius ... RADIUS is the radius from center point to beginning of halo. Values are integers>=0. 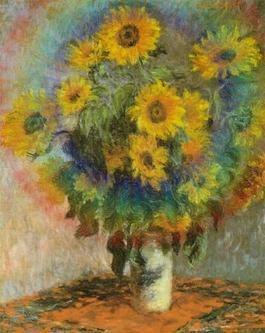 The default is one quarter of the minimum dimension of the image. -w width ... WIDTH is the distance of halo to outer radius. Values are integers>0. The default is one quarter of the minimum dimension of the image. Note: the halo will start to fade out for widths less than or equal to the feather amount. -c center ... CENTER=cx,cy are the comma separated coordinates in the image determining the center of the halo. Values are integers>=0. 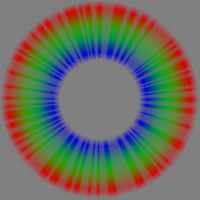 The default is the center of the image. -o opacity ... OPACITY is the opacity of the halo. 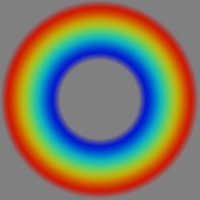 Values are integers, such that 0<=opacity<=100. An opacity=100 is fully opaque. 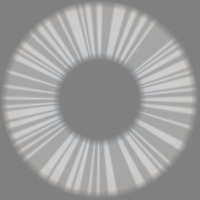 An opacity=0 if fully transparent. The default=40. -k contrast ... CONTRAST is the contrast of the halo striations. Values are integers, such that 0<=contrast<=100. A contrast=0 is no striations. A contrast=100 is fully transparent gaps between striations. The default=50. -m mixture ... MIXTURE is the halo mixture of primary colors from the base color. Values are integers such that 0<=mixture<=100. A mixture=0 is full separation of primary colors. A mixture=100 is full overlap of primary colors causing a solid halo color of the basecolor. A mixture=25 is a nice even full rainbow halo. The default=65 is a non-rainbow halo of subdued colors. -s saturation ... 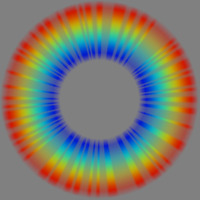 SATURATION is the saturation of the halo colors. Values are integer such that 0<=saturation<=100. The default=100. -a angle ... ANGLE is the clockwise rotation angle for the halo striation pattern. Values are integers such that 0<=angle<=360. The default=0. -d density ... DENSITY is the density of random striation pattern in the halo. Values are integers such that 0<=density<=100. Larger values have smaller gaps between striations and smaller values have larger gaps between striations. Thus at contrast=100 and density=0, there is no halo (i.e, fully transparent). And at contrast=100 and density=100 there is a solid halo with no striations. The default=40. -n newseed ... NEWSEED is the seed value for the random striations. Values are integers>0. The default=100. -f feather ... FEATHER is the feathering or blurring distance at the inner and outer halo radii. Values are integer>=0; The default=10. NOTE: Requires IM 6.4.2-8 or higher due to the use of -distort polar/depolar.